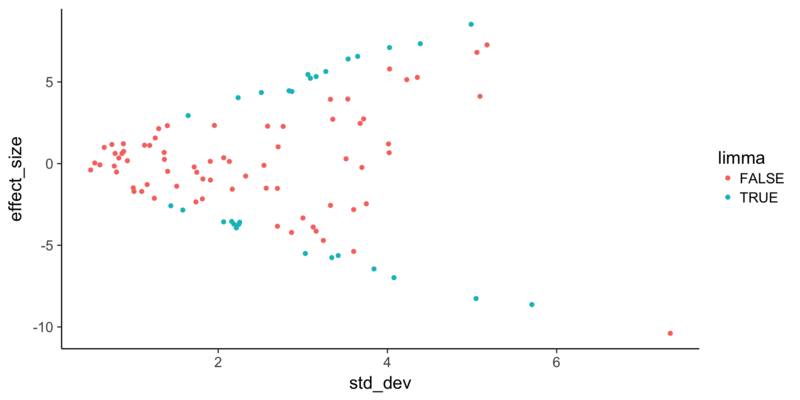 The simulation and visualizations below demonsrate the differences in the results due to limma sharing information across genes to shrink the estimates of the variance. 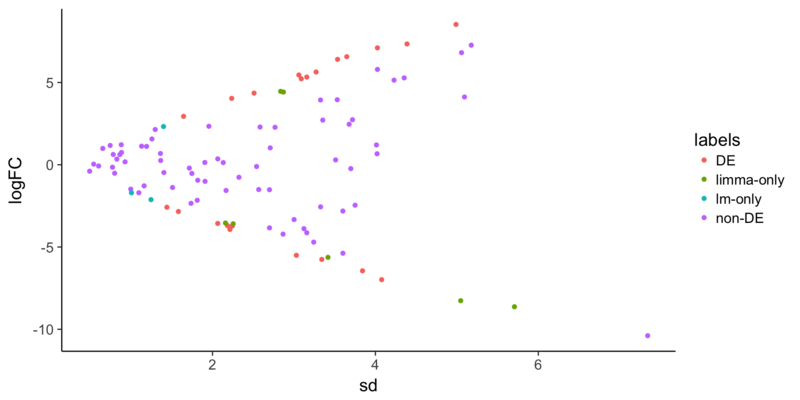 Create some synthetic data for illustrating concepts. 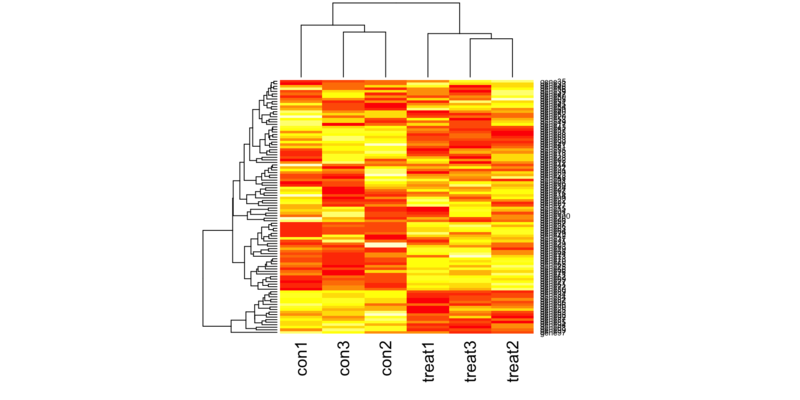 The simulated gene expression matrix has 100 genes and 6 samples (3 treatment and 3 control). 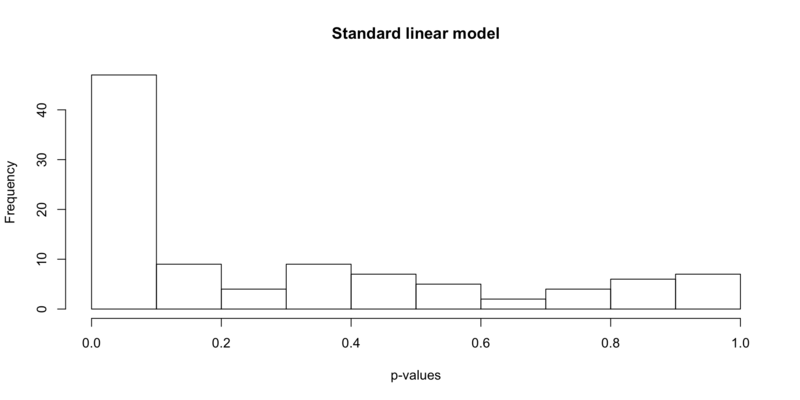 Find differentially expressed genes using a standard linear model. 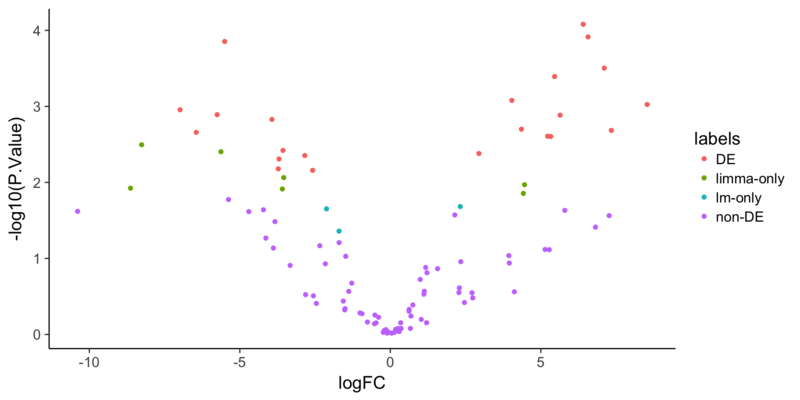 Find differentially expressed genes using limma. 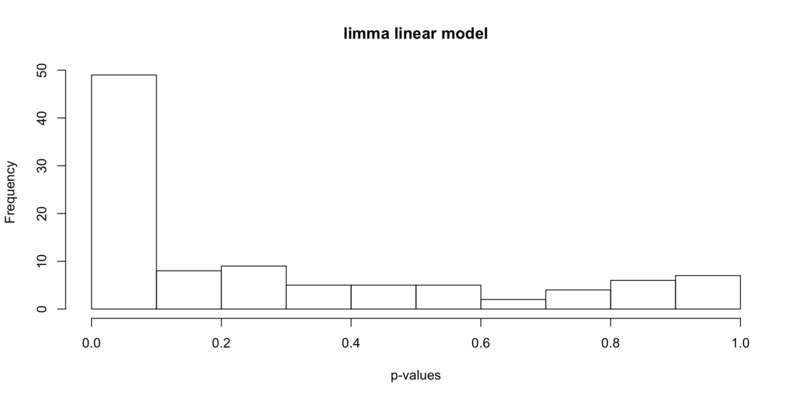 Compare the p-values from lm and limma (both adjusted for multiple testing with the BH FDR). stats$labels[stats$adj.P.Val < 0.05 & stats$lm_p < 0.05] <- "DE"
stats$labels[stats$adj.P.Val < 0.05 & stats$lm_p >= 0.05] <- "limma-only"
stats$labels[stats$adj.P.Val >= 0.05 & stats$lm_p < 0.05] <- "lm-only"
Visualize example genes with boxplots. 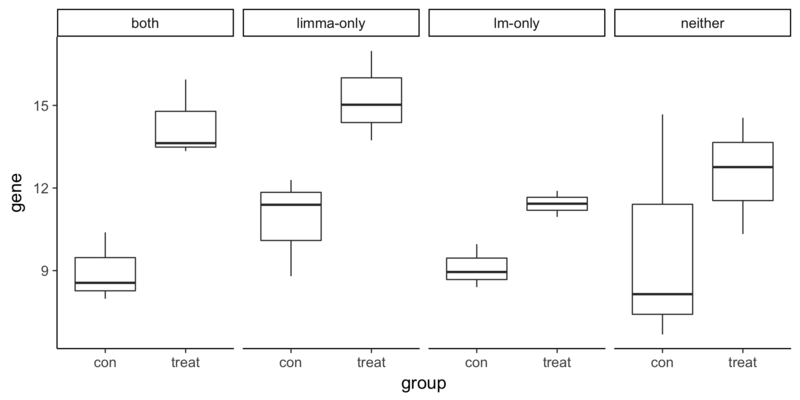 Note that the limma-only gene has higher variance compared to the lm-only gene.